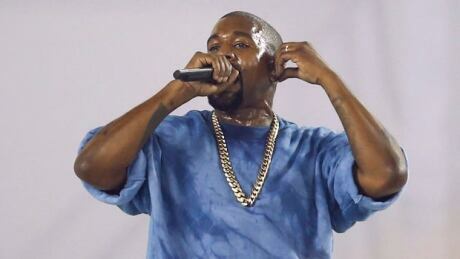 Kanye West belted through some of his greatest hits at Pan Am Dome (also known as the Rogers Centre) to end the closing ceremony on Sunday, after 16 days of competition in Toronto. That is, before his microphone malfunctioned in the stadium. 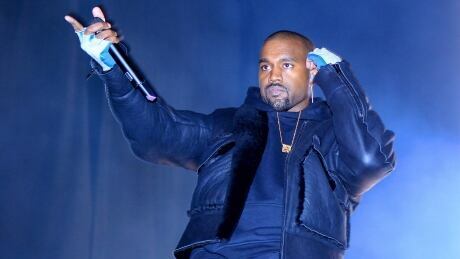 Welcomed with a hearty roar, Kanye West ran through a career-spanning collection of his hits to close out a Pan Am Games headlined by a harder, better, faster, stronger Canada — until a faulty microphone didn't let the rapper finish. 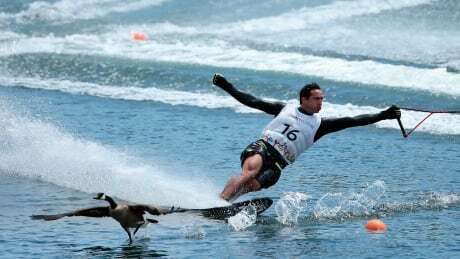 For your enjoyment, we are sharing our favourite wild, crazy, zany, madcap, and somewhat comical moments from the 2015 Pan American Games in Toronto. 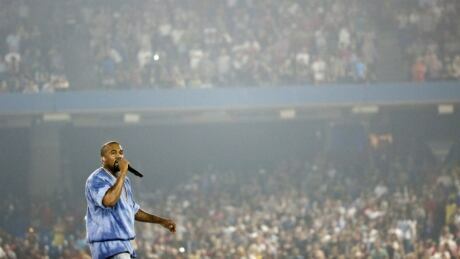 From Canada's sterling performance to the impressive organization, Toronto pulled off the Pan Am Games in grand style. Here are 10 things we’ve learned. Kia Nurse has been chosen as Canada's flag-bearer for the closing ceremony of the Pan Am Games on Sunday night. 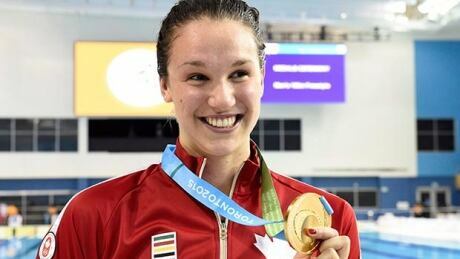 The 2015 Toronto Pan Am Games will come to an end with the closing ceremony at the Pan Am Dome Sunday night. 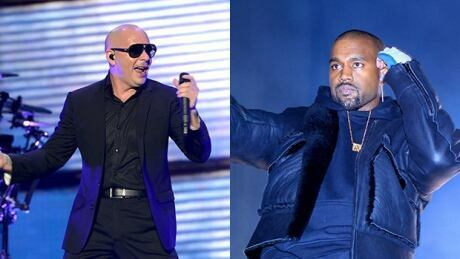 Kanye West, Pitbull and Serena Ryder headline an exciting event celebrating the athletes. Canada's men's 4x100-metre relay team was disqualified and denied its gold medals when it was determined that Gavin Smellie stepped out of his lane, putting a damper on another productive day at the Pan Am Games. 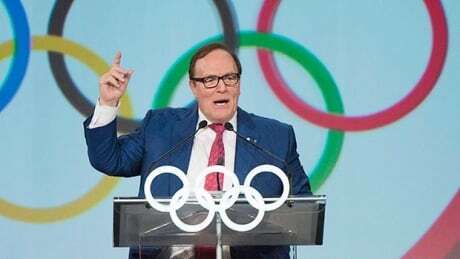 Speaking on the eve of the closing ceremony of the Pan Am Games, Canadian Olympic Committee president Marcel Aubut confirms to CBC Sports host Scott Russell that he will "absolutely lead and advocate with the whole power of my office that Toronto becomes the host city for 2024 Olympic Games." 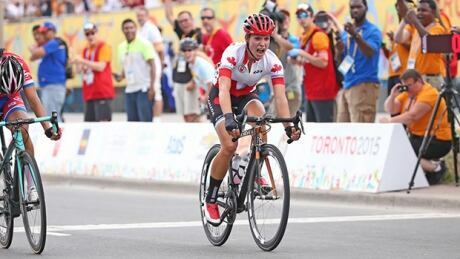 Jasmin Glaesser and Allison Beveridge won a gold and bronze, respectively in the women's road race on Saturday at the Pan Am Games, giving Canada 197 medals total, eclipsing the old record of 196 they set in Winnipeg in 1999. You are currently browsing the archives for the Sports/PanAm (Actual)/Generic Stories category.